One of the last art deco movie theaters built pre-WWII, the Kessler Theater in North Oak Cliff has a storied past -- to say the least. "Its since been hit by a tornado, burned to the ground and owned by legendary film star Gene Autry and then it sat dormant for the last forty years. 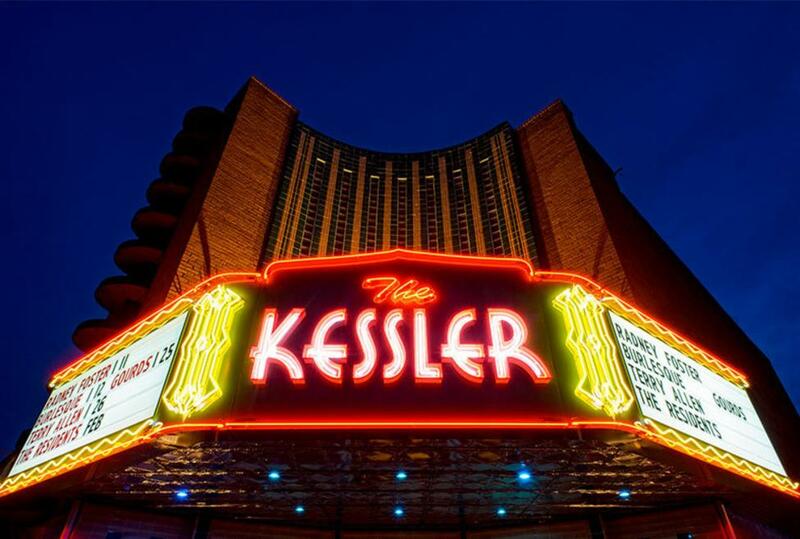 The Kessler Theater is a “can’t miss” destination in the area of North Oak Cliff affectionately dubbed “X +” by residents. If you haven’t yet visited, the "X" is the intersection where Kings Highway crosses Davis Street, and the "+" is the adjacent intersection where Tyler Street crosses Seventh.